Determining the right frame size for you (S/M/L)? Armed with our comprehensive eyeglasses sizing guide, we hope it helps you zero in on great eyewear! Cheers to clear skies ahead. Stand in front of a mirror with a ruler held in line with your temple. What is the right frame size for me? I know mine is a rare case but the temples of most eyeglasses fall too short for me. Please help! If you do have a problem with temples being too short, try looking for frames with a temple length of 145 to 150mm. Where should the bridge rest? What is the right bridge width for me? Eyeglasses are available in a multitude of shapes and sizes these days. The choice is extensive and the options at your disposal, infinite. But how certain are you of the one that fits you best? Here’s to finding and selecting the right one for you! Eyeglasses, if you look carefully have a series of characters (numbers and letters) printed on them. These characters are the key to understanding more about the frame dimensions and proportions. Once you know what those obscure values and markings on the frame stand for, your next step is choosing a frame that is in proportion to your face and obviously fits you just right. An important note to consider when it comes to sizing is that your eyes should always be centered or as close to it as possible, within the frame. A wide frame will make your eyes look close-set while a narrow one will exaggerate the width of the facial structure. To help you break down and make sense of the numbers that reveal this information, let’s dive right in. To begin with, there are four key measurements to consider. While you might not always find this numbering sequence printed on your eyeglasses, retailers can easily hand over this information on request. 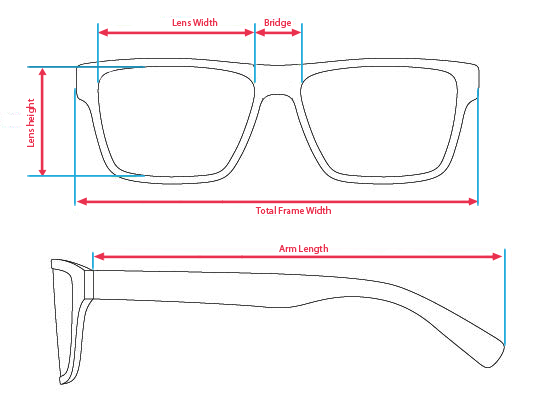 Online eyewear retailers list these specifications on their websites as well. Lens Width The first three values always appear in a sequence of three; 42-18-140/ a-b-c. The first character you will need is your frame width which is also the first and most important value in the series. Here, it would be 42. The frame width is the measurement of the lens in millimeters beginning from the left end piece to where the right end piece ends. Bridge The bridge width is the second series of numbers in the sequence. The distance between the right lens and the left lens is what is referred to as the bridge. The bridge is the part of the eyeglasses that rests atop your nose. Temple/Arm Length The temple length refers to the arms of the eyeglasses. The two arms that nestle behind your ears. This is the last numbering in the sequence and does not really vary much from one pair of eyeglasses to the other. 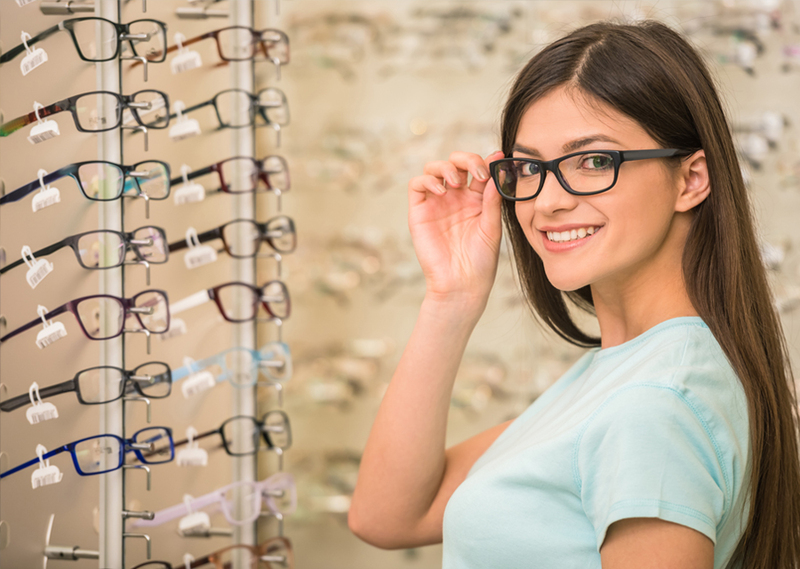 For those who tend to end up with glasses that tip on one side; you might want to consider acetate temples which can be adjusted to fit your face snugly. Lens Height – The vertical size is the height of the eyeglasses frame. It is measured from the top to the bottom of the lens aperture. Total Frame Width – Your total lens width comprises of the left end piece plus the left lens which is held by the bridge and then joins the right lens and right end piece. Take a look at the illustration above. The most important measurement, with this measurement alone you can order correct frame.